This sensor is to be used with trigger wheels with ferrous steel targets or teeth. it does not detect "flying magnets". Every racer around is well aware that the crank sensor is an integral part of the fuel injection system. 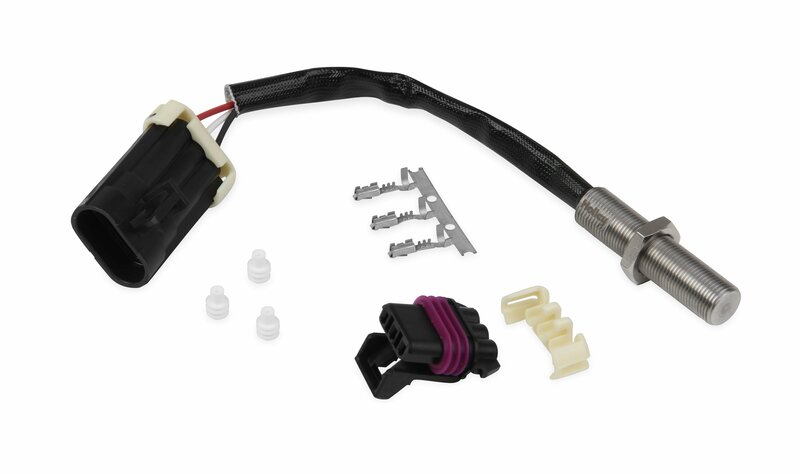 Holley's EFI Crankshaft Signal Sensor is designed to generate an RPM input signal to the ECU when used in ferrous target crank trigger setups. This sensor is a Hall Effect sensor, meaning it outputs a digital square wave signal, which is ideal for use with most Electronic Fuel Injection Systems.